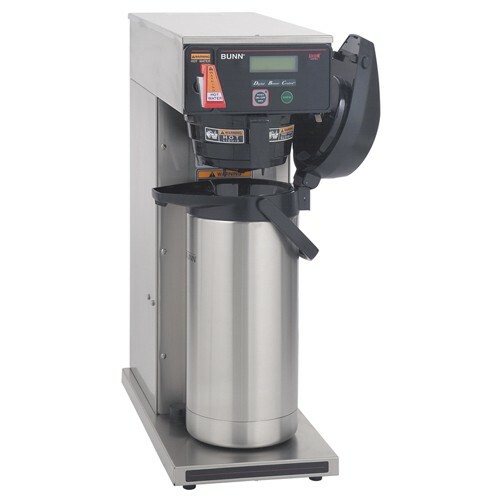 With the versatility to brew into a 2 or 3 liter airpot, the BUNN Axiom DV APS Commercial Airpot Coffee Brewer gives you plenty of options. Need copious amounts of coffee for meetings, breakfast bars or receptions? Satisfy a bus load or a boat load with coffee ready to serve in an airpot. Airpots keep coffee hot and fresh for hours. No need to transfer brewed coffee from carafes into the airpot, the Axiom DV APS saves time and waste with a direct brew system.